Greece is a small country. It hangs precariously at the southern end of Europe where for five millennia has bridged east and west. In antiquity it was the pivot point around which commerce and ideas amalgamated into a civilization so unique that it still resonates with its influence today worldwide. It’s greatest legacy is that it’s ancient ideals became the foundation of the western world. 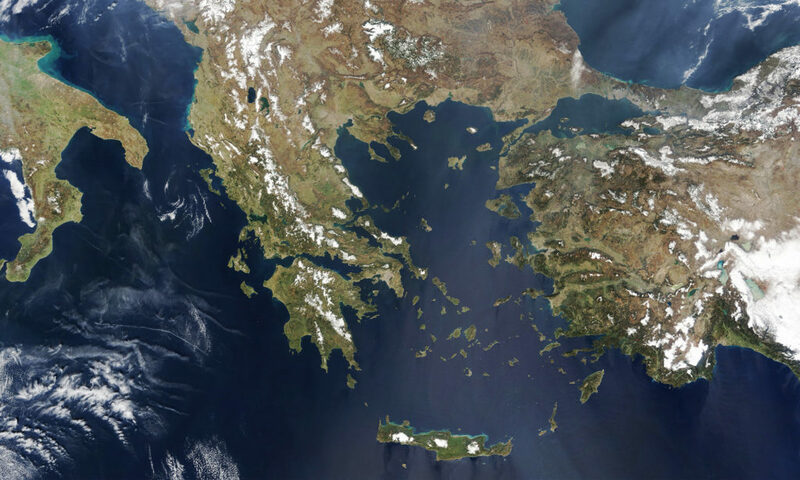 Aerial view of Greece from space. Greece’s unique cultural and historical background has sprinkled its landscape with ruins and scars that span six thousand years. The alternating invaders, the peaceful settlers, and the country’s position at the crossroads between east and west, have all left their mark on the land and have become the playground of many a visitor. Ancient sites dating back to prehistory abound in every turn, and museums shelter priceless artifacts from antiquity. Mother earth has also been kind to the mainland and the islands by adorning them with an impressive array of spectacular features. Blue and white dominate the landscape of the most popular islands, but the green and golden hues of the mountainous mainland should come as no surprise. The terrain of the mainland of Greece is mostly mountainous while its seas are sprinkled with more than 2000 islands. Historically, such terrain has induced the relative isolation and independence of its various population groups. These groups exhibit unique variations in culture under a homogenous Greek identity rooted in ancient history and Christian religion. Save for the most inaccessible mountainous areas of the interior, no matter where you stay in Greece, you will never be farther than one-hour drive from the coast. Greece is a modern European country, with a strong democratic government, and a developing economy. Much of the population of Greece is concentrated in a few major urban areas, with Athens hosting about one third of the country’s population. The Greek mainland occupies the southern most tip of the Balkan peninsula. Greece has borders to the East with Turkey, and to the north with Bulgaria, F.Y.R.O.M., and Albania. To the south and the West, Greece is touched by the Lybian sea and the Ionian sea respectively. The average temperatures in Greece ranges between 14° and 20° C, and the country can be divided into three separate zones according to their climate. The islands of the Aegean, Attica, and Crete experience extensive sunshine, very little rain, and strong “meltemia” winds during the summer. In the winter however rainstorms and low temperatures are common, with snow accumulating briefly in the mountains. In the Greek mainland, (Peloponnese, Thessaly, Epirus, Macedonia, and Thrace) the summers are just as hot, but the chance of the occasional rainstorm is greater. The winters are very cold with frequent thunder and snow storms, while fall and spring bring plenty of rain and occasional frosty conditions. In the tall mountain ranges of Pindos and Rhodope the sight of snow covered mountain tops is common for the duration of the season. 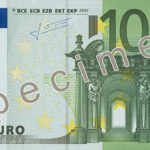 In 2000 Greece adopted the Euro, replacing the drachmas as her official currency. The majority of the member countries of the EU endorsed at the same time the Euro as the common currency of Europe. Greece is one of the most popular travel destinations in the world. Each summer the country’s population nearly doubles as millions of people visit to enjoy the many unique gifts it’s destinations have to offer. Many travel to relax at one of the beautiful villages, islands, and beaches, some go to enjoy life, and many to explore it’s history and culture. Visitors choose to visit Greece mainly to enjoy the perpetual sunshine and the ocean’s eclectic hues of blue. The rich history and culture is another major attraction for tourists. Attiki . . . . .
Peloponnese . . . . . . . . . . .
Ionian Islands . . . . . . . . . . . .
Ipiros . . . . . . . . . . . . . . . . . .
Thessalia . . . . . . . . . . . . . . .
Easter Macedonia &Thraki . . . . . . . . . . . . . .
Western Greece . . . . . . . . . . . . . . . . . .
Northern Aegean Islands . . . . . . . . . . .
Kriti . . . . . . . . . . . . . . . . . . . 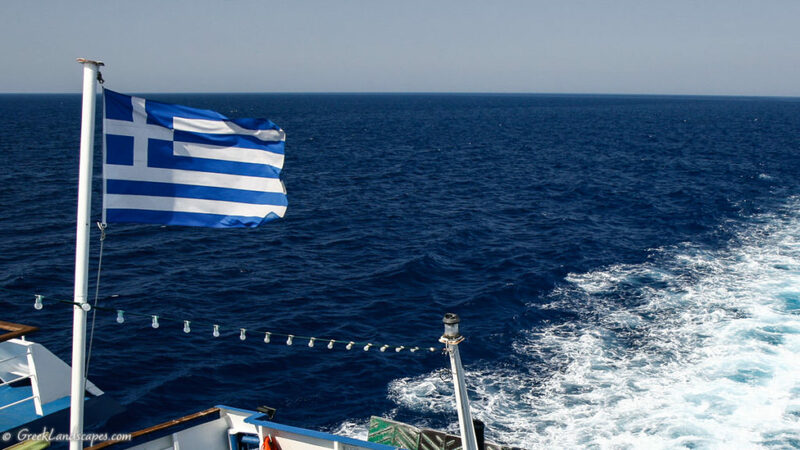 The Greek flag over the aegean sea. 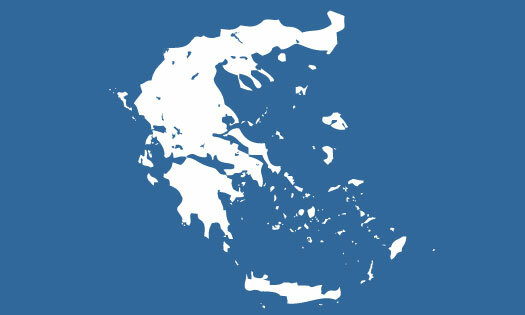 The Flag of Greece consists of nine blue and white alternating horizontal stripes with a blue square on the top left that contains a white cross. According to the popular belief, the blue and white colors of the flag represent the color of the sea and waves that engulf the country in all sides but the north. The cross at the upper left represents the country’s deeply rooted tradition in orthodox christianity. The nine stripes is said they correspond to the nine the letters in the greek word for freedom (ελευθερία). According to anohter popular belief, the stripes of the Greek flag represent the syllables in the phrase “eleftheria h thanatos” (Freedom or Death). Freedom or Death was the patriotic soundbite of the Greek war of independence against the Ottoman empire in 1821. During this war of independence, Andreas Londos raised the first Greek flag over the town of Vostitsa in the Northen Peloponnese at a date around March 25th 1821. Vostitsa was one of the first towns to be liberated a few days after Kalamata. This Greek flag was comprised of a black cross over a red background (Brewer, David. The Greek War of Independence: The Overlook Press, 2001). The flag of Greece 1822-1969 and 1975-1978. Very soon afterwards, this original flag was replaced by one that had no stripes, and insted it featured a white cross from edge to egde on a blue square background. You might still see this flag flying around in Greece today, but the striped version has all but replaced it. The flag used by the independence army in the 1820’s had the same configuration, but the oposite colors: blue cross on white. The Greek language has been in use since prehistoric times. It is one of the oldest living languages in the world. The earliest evidence of its written versions surviving to our date in the form of Linear B tablets which date back to the 15th century BCE. Sometime between 1000 BCE and 700 BCE the inhabitants of Greece adopted the Phoenician alphabet. Within a short period of time, by the end of the 5th c. BCE, the Greeks transformed it to the 24 letters of the Greek alphabet which is still in use today. In its 3500 year passage through history, the language has undergone a series of transformations, but modern Greek can easily be traced back to ancient Greek in the form of the letters, word roots, and structure. The historical unity and continuing identity between the various stages of the Greek language is often emphasized. Greek speakers today still tend to regard literary works of ancient Greek as part of their own rather than a foreign language. It is also often stated that the historical changes have been relatively slight compared with some other languages. In a dynamic country like Greece where ideas have been flowing freely and historical traditions define identities, the Greek language has never been homogenous throughout the land. Instead, it has been infused with other influences from other languages. In addition, several different dialects have developed that diverge in various degrees from the official versions of the language. The Aeolic dialect, which was spoken in NW Asia Minor, the NE Aegean islands, in Arkadia in the central Peloponnese, in parts of Viotia (around Thebes), and in Cyprus. The Doric dialect was spoken in western Greece (Epiros, Aetolia, Acarnania), the southern and eastern Peloponnese, Crete, Dodecanese islands, Corcyra (Corfu), Lefkada, Sicily, and the Black Sea coastal colonies. The Ionic dialect was in use in Attica, Euboea, the greater part of the coast of Asia Minor, the coast of northern Greece (Macedonia, Thrace), and most of the Aegean islands. 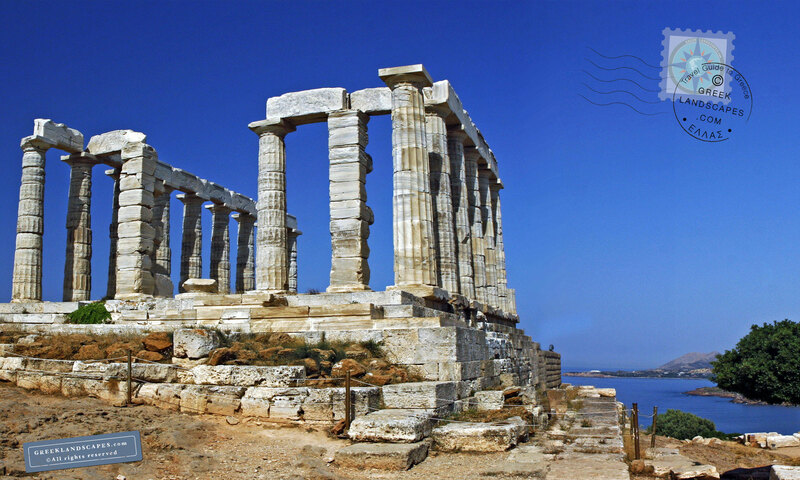 Over the thousand years the ancient Greek civilization spans, several other variations of the Greek language developed. Most influential of these became the Attic Greek dialect which contained both Ionic and Doric influences. Attic Greek became common among the known civilized world in ancient times because Athens became such strong cultural influence in the Mediterranean, and because later Alexander the Great helped the language become common among his conquered people between Greece, Egypt and as far east as India. Other dialects include Thessalic which was spoken in Thessaly, and the Boiotian (morphed from Aeolic in the area around Thebes). A little known fact is that Latin was later developed based on the Boiotian dialect. All these dialects were slight (or more severe) variations of the same language and were mutually understood by all. Just like in ancient times modern, Greek has several dialects between the different geographical regions. But you can find significant variations in the spoken language even within narrow geographical boundaries, . The Greek dialect spoken in Crete for example is distinct in the way certain sounds are pronounced. In every variation, different words are used to describe the same object, but the written language is common throughout the country thanks to the rigorous public education system that has pushed the literacy rate at 97.5% in the last thirty years. The existence of many different dialects does not prevent one Greek from communicating and understanding another in a comfortable manner. In fact every Greek jokes about how impossible it would be for a foreigner to learn Greek in its totality – reffering to the multitude of names for same things, and the different dialects. The concept of “Democracy” was invented in ancient Greece, and more specifically in ancient Athens where for the first time in history citizens were able to choose the public officials. Democracy in ancient Greece reached its apogee during the fifth century BCE in Athens under the leadership of Perikles. Today Greece is a parliamentary republic guided by a Democratic Constitution. The president of the republic is the head of the state, while the prime minister is the head of the Greek government. The president of Greece who is the chief of the state is elected by the parliament every five years and can serve a maximum of two terms. A two-thirds majority is required for the election of the president, ensuring thus a consensus of multiple political parties. The Greek President has limited powers and has the ultimate responsibility of overseeing that the constitutional authority guides the government. The Greek Prime Minister who is the head of government, is elected by the parliament after the national elections that decide the make up of the parliament. There is no limit on how many terms the prime minister can serve. The Parliament of Greece consists of 300 members elected by direct vote of the people to four year terms. The party that holds the majority in the parliament elects the Prime Minister and he/she is usually the leader of that political party. The country is divided in 13 administrative regions, which in turn are subdivided into 51 prefectures. Greece is a member of the UN (which she joined in 25 October, 1945), the European Union since 1981, and a NATO ally since 1952. Greece was elected a non-permanent member of the UN Security Council for the two year period 2005-06. Greece has a mixed capitalist economy. The service sector accounts for about 71% of the total GDP. Industry and agriculture account for the other 29%. Greece went through rough economic times since 2008 when it became evident that she would be unable to repay its bulging debt without help from the European Union and the IMF. Greece has benefited a great deal from its participation in the European Union, and up until 2009 the Greek economy has been growing at a 3 or 4% every year, while the inflation had fallen from about 13% to the early 90’s to around 3.5% in 2004. While the per capita income appears low compared with other countries in the Euro zone, the fact that home ownership approaches 80% allows the Greek citizens a fairly comfortable life style. It should be noted that up until 2011 home owners paid no annual tax for their dwellings. Greece has been a seafaring nation since the days when the Minoans dominated the Aegean in the Bronze age (3000 – 1000 BCE. 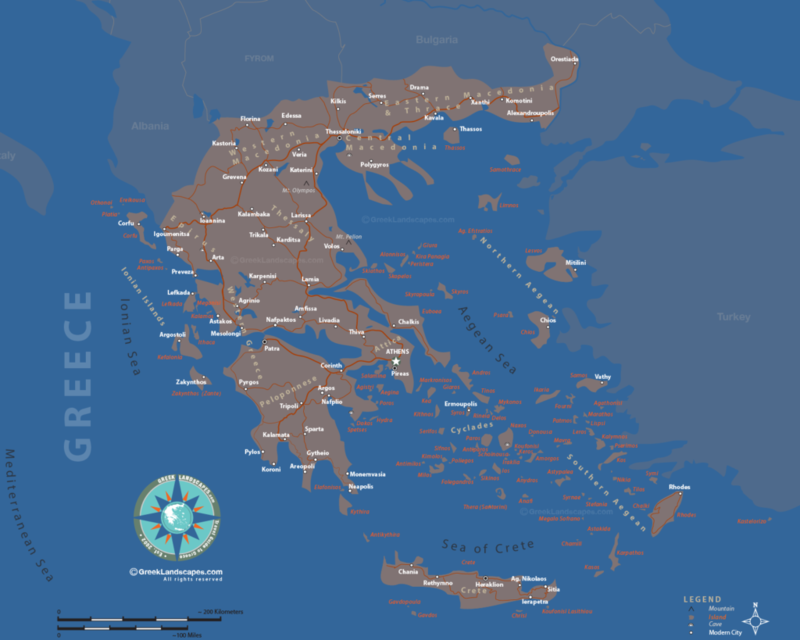 Greeks colonized the Northern Mediterranean and the Black Sea between 8th and 5th c. BCE. Athenian dominance of the sea in the 5th century BCE allowed for the extraordinary cultural development we admire today. This tradition has continued through history, with the Greek merchant fleet being always one of the largest ones world-wide. Next PostNext Do You Need to Speak Greek?